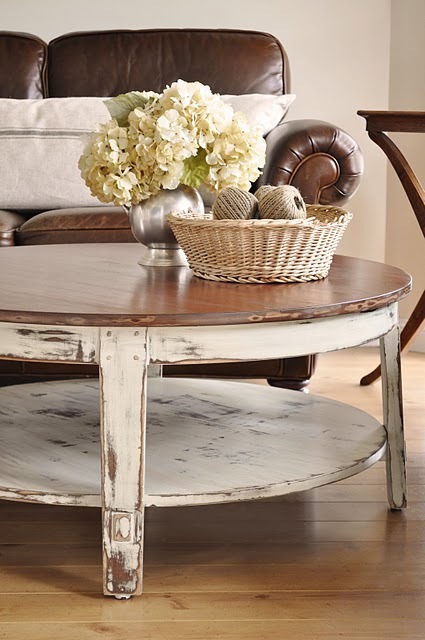 The Collected Interior: Drab to Fab...Coffee Table! Don't you just love a good trash to treasure project? I sure do. And here's one that is no exception. However this coffee table didn't start as trash or some roadside find. It actualy came from Craigslist for just $25. Yup, Kristine from The Painted Hive scored this beauty on Craigslist and gave her the mother of all Makeovers! Isn't the distressing beautiful? OH WOW...that is EXACTLY what I need for our living room. Thanks for sharing...it is perfection! That is beautiful...would have loved to see the "before" to appreciate it further! I LOVE this too! 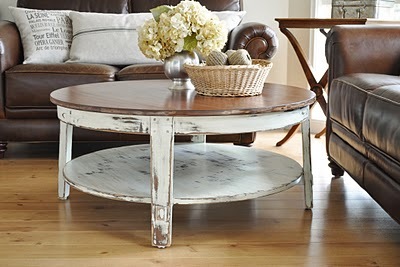 Goto The Painted Hive to see this coffee table "before" the makeover. Amazing transformation! Hey, Jane! Thanks for sharing this with us. What a beautiful table! Kristine is so talented! WOW! That is fabulous. Lots of talent there. Thanks for sharing. This is such a darling table! You did an amazing job distressing it. Love it!! !